Dr Zoe Muir graduated from Glasgow university in 2009. She worked in at Knightswood Dental Practice in Glasgow before moving to Australia with her now husband. Both were motivated by the Australian climate and wanted to experience living and working somewhere new. Dr Muir undertook a postgraduate examination in the UK called ‘MJDF’ which means ‘Membership of the Joint Dental Faculties’ at the Royal College of Surgeons England. She is also registered with the Australian Health Practitioners Regulation Agency (AHPRA). 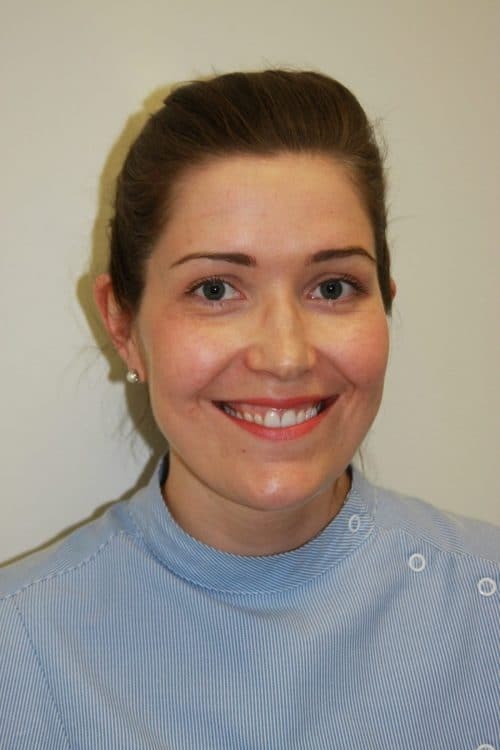 Dr Muir has also completed some recent training in the dental management of snoring and sleep apnoea. Outside of dentistry Dr Muir enjoys spending time with her puppy Millie. She is also a keen skiier and runner as well as baker and bruncher.